The modifications to the exterior come with the usual wide body kit that’s become a specialty of sorts for Mansory. The front end gets an aggressive new front spoiler with daytime running lights embedded in it. 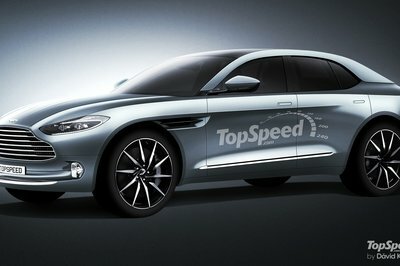 It’s a nice departure from the somewhat boxy look of the standard model’s front bumper. A lift-reducing front lip also adds some context character to the SUV while also improving its aerodynamic capabilities. There’s also a new carbon fiber hood and extended wheel arches that add an extra 1.18 inches to the AMG GLE 63’s width. The SUV also gets a new rear wing on top of the standard spoiler to help create extra downforce on the rear axles. Rounding out the exterior upgrades is a new exhaust system and a set of massive 23-inch Spider forged alloy wheels wrapped in 305/35-series tires. Don’t be shocked here but the interior is somewhat subdued, at least by Mansory’s opulent standards. Yes, the words “Mansory” and “subdued” usually don’t come together, but it seems appropriate in this case. Unlike its other programs, the tuner opted for something a little simpler with the interior of the AMG GLE 63. It’s got an ergonomically redesigned sports steering wheel that’s been wrapped in leather to go with special carbon trims. A full, two-tone leather interior with red trim makes the cabin pop even more. 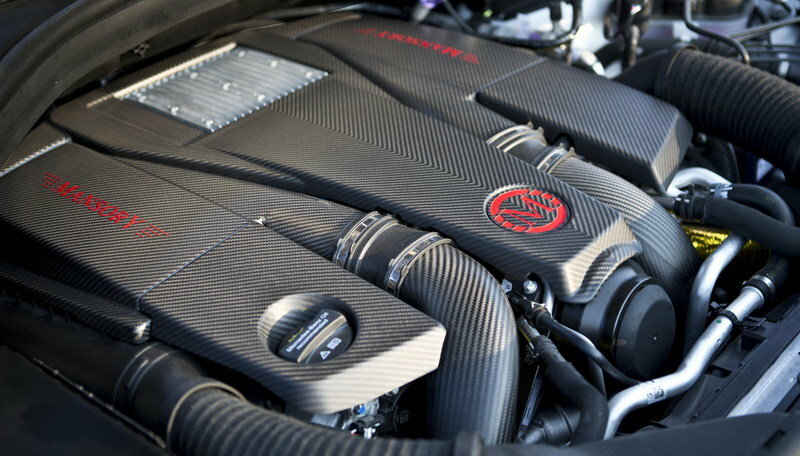 The centerpiece of Mansory’s program can be found under that new carbon fiber hood. Pop it open and you’ll see a heavily modified, 5.5-liter, bi-turbo, V-8 engine that received a new ECU management system and sports air filter. 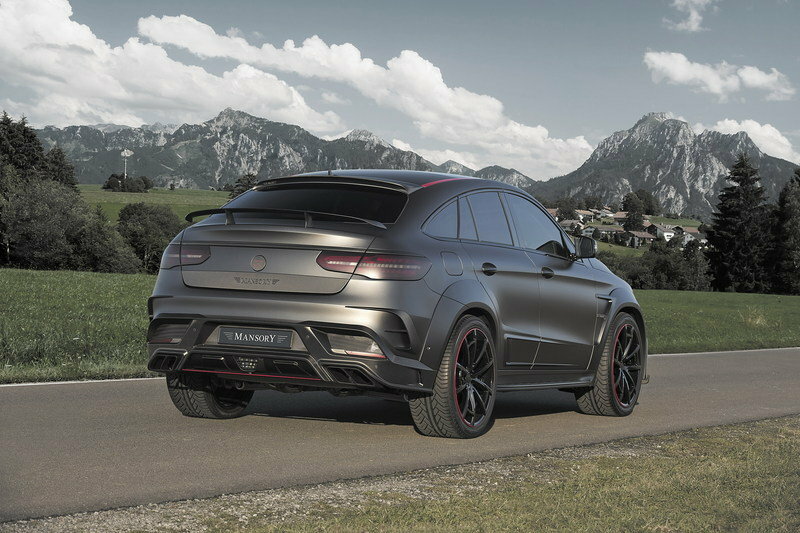 A sports silencer on the exhausts complete the engine upgrade, which brings the AMG GLE 63’s output up to an impressive 840 horsepower and 849 pound-feet of torque, making it the most powerful engine upgrade for the AMG GLE 63 on the market to date. 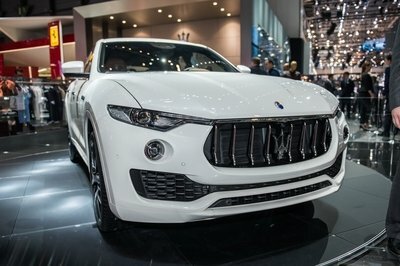 The increase in output is so massive that the extra power attributed to the engine tune - 283 horsepower and 333 pound-feet of torque - is enough for an entry-level sports car. As impressive as that is, Mansory’s work on the V-8 also helped increase its top speed from the electronically limited 155 mph to an impressive 183 mph. No 0-to-60-mph time was given, but considering its new numbers, a shade under four seconds isn’t out of the question. Mansory didn’t announce how much the entire kit costs. The usual protocol for a prospective customer is to contact the tuner directly to get a proper quote. But if it helps, the tuner does offer a separate power kit with Vmax. 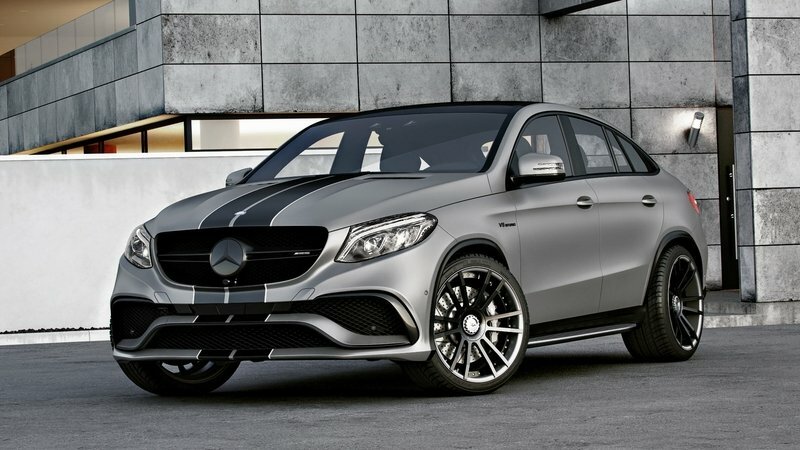 This engine modification only increases the AMG GLE 63’s power to 660 horsepower and 664 pound-feet of torque. It’s not as powerful as the engine kit that was presented at the Geneva Motor Show, but for what it’s worth, this kit costs €4,554, which is about $5,040 based on current exchange rates. 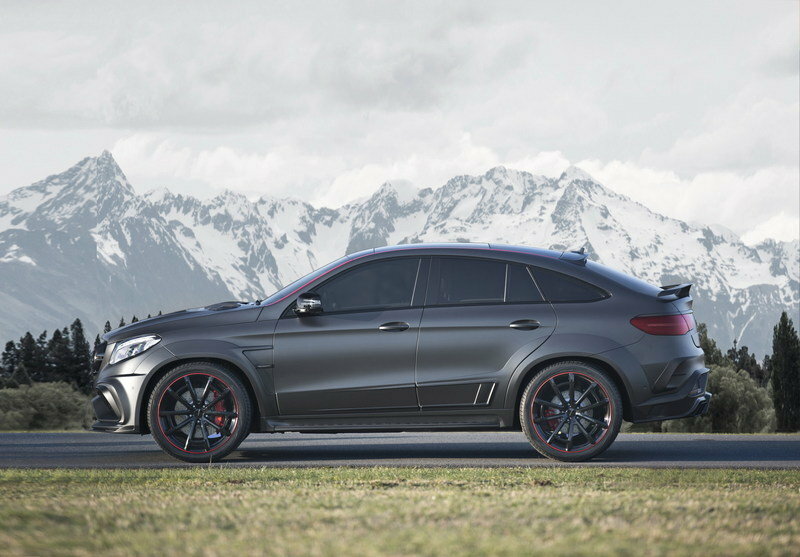 One of the first tuners to get its hands on the Mercedes-AMG GLE 63 is Wheelsandmore. Hardly a surprise, right? For this program, the German tuner added the usual racing stripes to go with a new set of 22-inch ultralight forged multi-piece 6Sporz wheels. Ultra-concave F.I.W.E. wheels, also measuring 22 inches, are also available with the program. Under the hood, Wheelsandmore’s engine program is pretty comprehensive. The tuner added special turbochargers, downpipes with sport catalysts, special F1 air filters, and a valve-flap controlled sport exhaust system. Put together, the tuner was able to bring the output up to 800 horsepower and 848 pound-feet of torque, enough to help the SUV sprint from 0 to 60 mph in just 3.98 seconds. The only downside is that Wheelsandmore kept the top speed “limited” to just 186 mph for “safety reasons”. 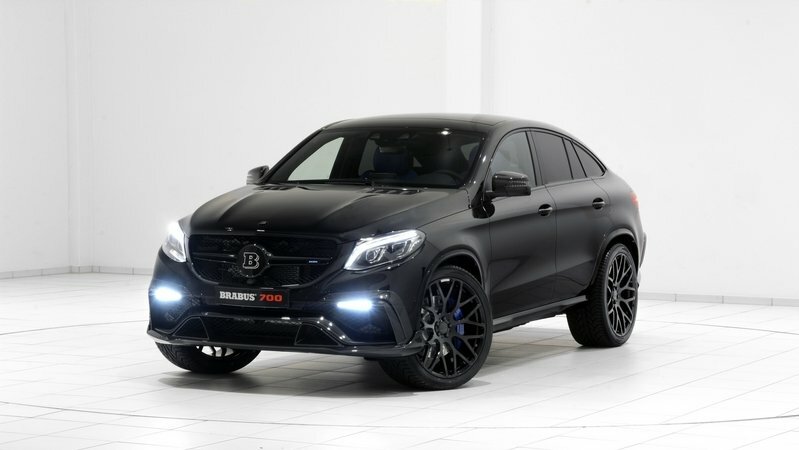 Brabus’ own kit for the AMG GLE 63 covers all the sections of a comprehensive tuning program. First, the usual aero kit is there and is made up of useful items like a front spoiler lip, tailor-made air deflectors with integrated LED side markers, a roof spoiler, and a new diffuser. Now comes the highlight of the program. As I said, Brabus added two special turbochargers to the V-8 mill. It also installed gold sheathing on the intake and charge-air pipes, and a new exhaust system with free-flow catalysts and 3-inch down pipes. All together, the noted Mercedes tuner was able to bring out 691 horsepower and 708 pound-feet of torque out of the V-8. 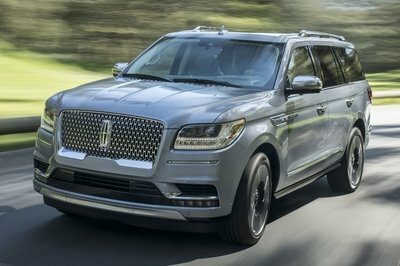 The output isn’t as high as what Wheelsandmore and Mansory were able to do, but it’s still good enough to drop the SUV’s 0-to-62-mph sprint time from 4.2-seconds to a 4.0-seconds and improve the top speed from 155 mph to 186 mph. I’ve written about a lot of Mansory’s showcase programs at the 2016 Geneva Motor Show and I’ve been impressed with the tuner’s recent programs. 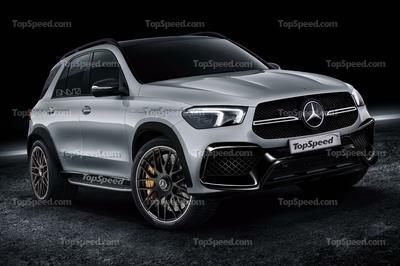 But, for what it’s worth, I think this one for the AMG GLE 63 is the most impressive of the lot because it really felt like Mansory put in the work to improve everything it could about the SUV without completely ruining the things that make it a great car in the first place. 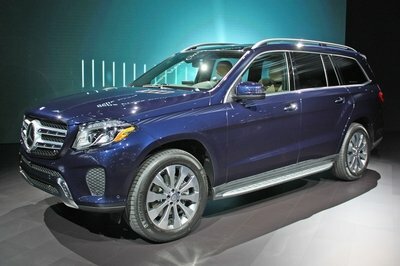 The aero kit isn’t over the top but it does provide the GLE with the necessary improvements to make it drive better. Oh, and that engine upgrade is typical of what people can expect from Mansory.